ure promotes thinking and sensing almost exclusively. But if we are to uncover the mysteries of our souls, we must strengthen and deepen our imagination (as well as our capacity for feeling). Depth psychologists say that the substance of the soul is image, and that deep imagery (imagery that comes to us unbidden from the unconscious, from our core human nature) is one of the most direct and potent means for accessing soul. Through our deep imagery experiences, we can discover soul powers, resources concealed in the Shadow, sacred wounds, and archetypal potentials, and thereby cultivate our psychological wholeness. On imagery journeys, we meet inner guides who possess the wisdom and capacities to assist us on the descent to soul. There are many methods for cultivating deep imagery, but among the most effective are those that involve power animals — inner guides to healing, individuation, and soul work. We will explore our relationships with power animals through deep imagery journeys assisted by rhythmic drumming and spoken word. We’ll deepen what we discover in the imaginal world by grounding it in the body through somatic exercises and movement and expressing it creatively through various art forms in order to fully take in and honor the gifts we receive. We’ll also use nature-based practices and self-designed ceremony to further integrate our deep imagery experiences. 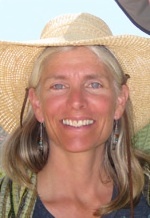 Sheila is an inspiring astrologer, wilderness guide and neo-shamanic practitioner. She is a passionate advocate for our wild nature and our capacity to track and navigate the currents of soul. 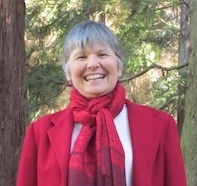 She has guided vision quests and nature-based soul programs since 1997. From her training in Transpersonal Psychology, Authentic Movement, and Deep Imagery, she is committed to nurturing the personal expression of embodied imagination and relationship to the Sacred. In her private practice, Sheila specializes in the astrology of midlife mischief and its attendant unique opportunities for soul growth. She lives on Whidbey Island, Washington and is an avid backpacker and sea kayak apprentice in the wild lands and waters of the West. Sheila brings her huge open heart, infectious humor and compassionate respect for each person’s individual Mystery to all her guiding work. Aldermarsh Aldermarsh is a residential retreat center able to comfortably house 15 to 25 guests with shared accommodations. Our grounds include the Marsh House, three fully equipped lodging facilities, two single room cabins, temple yurt, a Kiva (cordwood sweat lodge), outdoor Japanese soaking tub, beautifully maintained gardens, and acres of wetlands. We are a collective consciousness of beings dedicated to holding space for spirit-based work. We steward over 11 acres of beautiful wetlands, laced with walkways and teaming with wildlife. The uniting spark of Aldermarsh is our 1100 square foot gathering space known as The Marsh House. 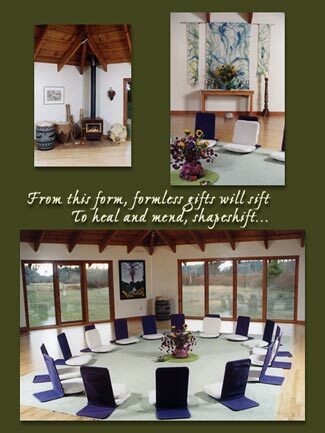 It is an ideal space for facilitating gatherings of community, movement, yoga, and meditation.